Poole Salvation Army. A thoroughly enjoyable evening starring a solo Oboe player We would like to thank our hosts for having us. Sat in the centre of the track the band get the best, but sometimes scary, view of the races. 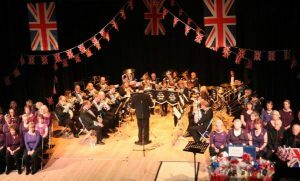 Lots of flag waving and singing at our annual Last Night of the Proms concert at Canford Cliffs Village Hall. 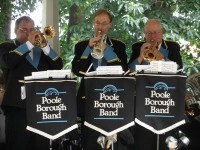 We are a friendly brass band in beautiful Poole in Dorset. Our band performs throughout the year at events such as, summer fetes, formal concerts and on bandstands. As a contesting band we compete in the 3rd section of the West of England region. If you are new to the area, returning to playing, or on holiday, get in touch if you would like to play with us! Poole Borough Band will be at St Marks Church in Talbot Village, later this month, to record the same piece we will play in the West of England Regional Championships 2017 in Torquay on March 11th, for our forthcoming CD. A good time was had by all! Solos by Mick Gibbs and Richard Baczala. Singalong carols. Raffle. Christmas music all the way. Thanks for coming and making it a wonderful evening! 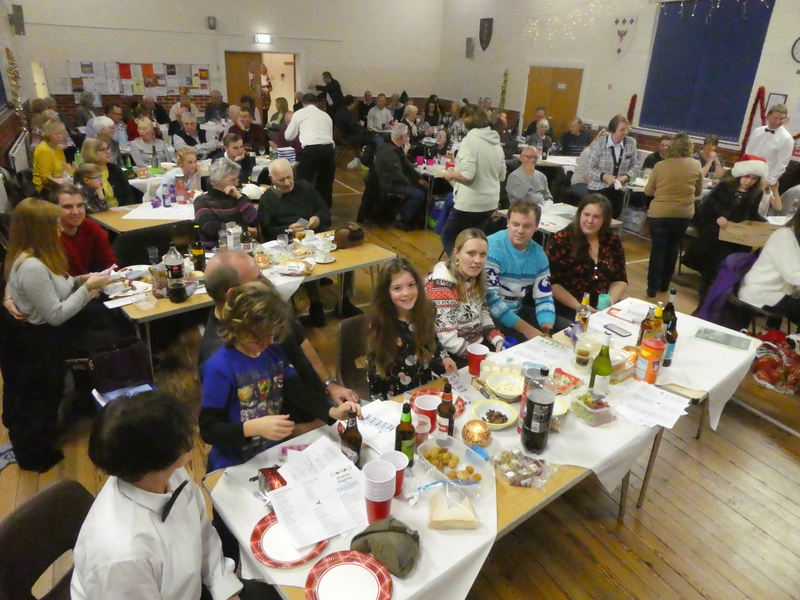 Christmas Concert Tickets – Out Now! Click here for more details and a map. Contact form on our Get In Touch page. Registered with the Charity Commission for England and Wales - registered charity number 1084077.